Before the end of last year, Lakewood held a citywide cleanup. Over the course of two days, residents were encouraged to drop off their junk at an Arc Thrift Store. This allowed the thrift store to get first pick of the stuff. There were also drop off containers for scrap metal and electronics. Over the course of those two days, around 197 tons of material was collected. This goes to show you that we’ve all got a lot of junk to get rid of. Although this was a good event to hold, there were limitations. Basically, you had to do all the work. That mean you needed to get a vehicle big enough to load up whatever you wanted to throw out. You also had to take the time out of your weekend to drive that material over to one of the drop off sites. Once you got there, you had to wait your turn before you could drop anything off. So much for a relaxing Saturday afternoon! For anyone who missed this event or didn’t have the means to get the job done, have no fear: Junk King Denver is here! Getting rid of tons of trash. Junk King Denver is the local branch of a national franchise of professional junk haulers. 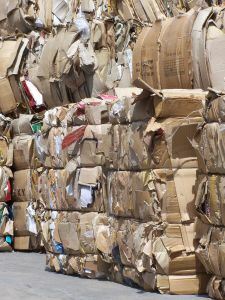 This is the company that has taken all the hassle out of junk removal. Instead of renting a truck, Junk King will provide one for you. It will be the size of a standard moving van. In other words, it can fit an entire home worth of furniture and household goods. Don’t worry; you won’t have to drive that truck. That will be the job of the two-man Junk King crew who is assigned to every junk removal appointment. These will be the guys who will do the actual work. You won’t have to lift anything. The Junk King crew will handle it all. That same crew will also be doing the disposal of your junk. This might include making the rounds of area recycling centers. The Junk King crew will separate your e-waste from your furniture from your scrap metals from your construction waste. This is all part of the service. As for your time, Junk King isn’t going to keep you waiting. Instead, you can depend on them showing up when they say they will. With Junk King doing all the work, you’ll have your weekend back. Are you ready for proper junk removal? Let Junk King show you how easy it is to get done. This entry was posted in Lakewood Junk Removal and tagged cleanup, Junk King, Junk King Denver, junk removal, Lakewood Junk Removal, recycling on January 31, 2014 by Paul Durant. Last updated August 1, 2017 . Do you recycle your soda cans? Denver has a very robust recycling program but instead of crushing those cans and melting them down for reuse, one University of Denver professor is teaching his kids a different repurposing method. Aaron Brown and his mechanical engineering students have been turning aluminum soda cans into low cost solar furnaces. The result has been helping many Denver residents get some much-needed heat during the cold winter at a fraction of the cost. This entry was posted in Denver Junk Removal and tagged Denver, Junk King, junk removal, recycling, soda cans on January 20, 2014 by Paul Durant. Last updated August 1, 2017 .